Dr. Mehmet Oz, known simply Dr. Oz, is America’s favorite television doctor. After sweeping the audience off their feet during his first appearance on the Oprah Show in 2004, Dr. Oz landed his own show. The show provides hands-on information about health-related issues. Some of the most often addressed topics on the Dr. Oz Show are health and fitness, and more often than entails a diet pill or a “miracle drug” as he refers to them. 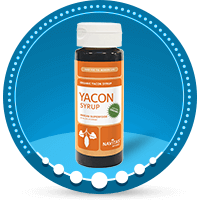 As catchy as this term is, however, it can give people false hope—in today’s fast-paced society people are looking for a quick fix, and are ready to try anything to shed the extra pounds in a matter of days. What diet pills are recommended by Dr. Oz? 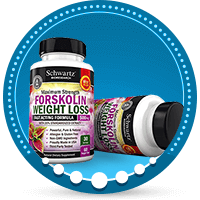 Dr. Oz has recommended Forskolin, FBCx, Raspberry Ketones, Yakon Syrup, and Garcinia Cambogia. These diet pills recommended by Dr. Oz have controversial scientific support, and Dr. Oz was the subject of a congressional hearing about his claims about the pills, especially in regards to the claims about Garcinia Cambogia. Forskolin was called “lightning in a bottle” and “a miracle flower” by Oz during one of his episodes this past January. The main chemical found in this pill is from the roots of the plant Plectranthus barbatus, which is used in traditional medicines to treat high blood pressure and heart disorders. Raspberry Ketones is a product that Dr. Oz called “a number one miracle in a bottle to burn your fat.” Raspberry Ketones is essentially a compound derived from red raspberries, which helps regulate adiponectin—a protein that affects metabolism. Last but not least, Garcinia Cambogia was first introduced by Oz in 2013. The main ingredient of this weight loss pill comes from the tamarind fruit, which is native to South-East Asia. It is known for its sour flavor, but more importantly for its digestion-stimulating properties. When asked about what users can expect from this revolutionary pill, Dr. Oz claimed that one could lose up to 4 lbs in one month. According to Dr. Oz, these results can be achieved due to a cortisol decrease in the belly fat; in other words, Garcinia Cambogia helps block the formation of fat in the body. Garcinia Cambogia has been hailed as the miracle pill that can help one lose the extra pounds in a blink of an eye. During his show, Oz admitted he himself was intrigued by the extraordinary effects Cambogia can have on one’s body. It has been said that the extract of the tamarind plant just might be the “miracle ingredient that lets you lose weight without diet or exercise.” Additionally, what makes Cambogia an exceptionally effective fat buster, purportedly, is its property to suppress appetite, inhibit the production of body fat and increase natural serotonin levels. Oz first promoted Garcinia Cambogia in 2013 as a “miracle drug” to help people lose weight; however, during his congressional hearing in 2014, he admitted that his claims had insufficient “scientific muster to present as fact.” The TV star did not advertise a specific brand, thinking it was the “ethical thing to do,” but the lawsuit called out a supplement seller Labrada, which labeled Cambogia as a “fat loss aid.” During the hearing, it was brought to Oz’s attention that he might be doing more harm than good when it comes to helping people with their weight-related problems. Consequently, he was also urged to take into serious consideration the dire repercussions his health-related advice can have. In his closing statement, Oz made it clear he would rather be a part of the solution and not the problem, promising people to deliver more science-based information in the future. Even after a few mishaps, Dr. Oz remains one of America’s most beloved health professionals, who continues to offer advice on health improvement. A healthy diet and fitness remain at the forefront of the Dr. Oz show; however, he now puts more emphasis on natural vegetables and fruits which could be incorporated in one’s diet to achieve a healthier lifestyle and even shed a few pounds.